Teddy Sourias, owner of Cinder. Sourias also owns BRU Craft & Wurst, U-Bahn and Uptown Beer Garden. 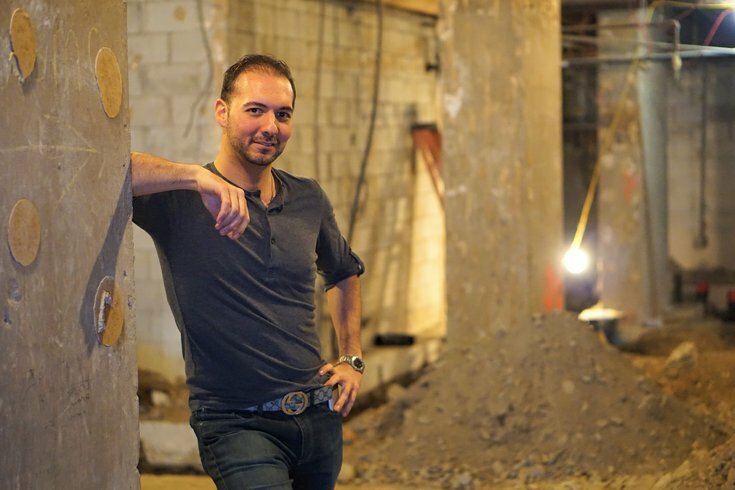 Teddy Sourias, the U-Bahn and BRU Craft & Wurst owner who continues to master the alehouse, will bring a bar-restaurant concept to 1500 Locust St. this summer that's focused on ciders and sours. Slated for a July opening (late June at the earliest), Cinder will boast 30 taps and a collection of 30-50 rotating bottles. The taps will emphasize five core groups: ciders; golden hoppy beer; and wild, abbey and farmhouse ales. Remaining tap space will go to seasonal beers. Also on hand will be 10 wines by the glass, 20 wines by the bottle and a cocktail list that draws from local spirits and mixers. For food, expect rustic pizza (with traditional and "creative" toppings), locally sourced cheese and charcuterie boards, mussels and a variety of small plates and appetizers, prepared in an open kitchen. Brunch is also in the works, though not for launch. A chef has yet to be announced. In concept, the idea is to provide a sophisticated go-to for lovers of ciders and artisanal ales. Think: a higher-end wine bar but with inspiration taken from Belgian beer bars. The 2,400-square-foot interior will take on an industrial look, designed by former U-Bahn architects Lance Kraemer & Associates to have concrete floors, copper pipes for the taps, a 30-foot-long black walnut bar and an open layout that allows the space to breathe. Combining a mix of high-tops, dining tables and bar seats, there will be about 75 seats indoors, with as many as 20 additional seats outdoors. Cinder will be open 11-2 a.m., Monday through Friday, and 10:30-2 a.m. on Saturdays and Sundays.